The Leupold VX-6 2-12x42mm Illuminated Riflescope is manufactured with all kinds of shooters in mind. 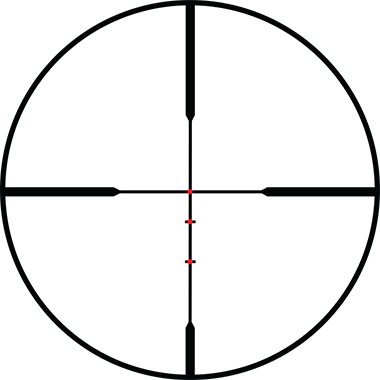 With an impressive 6:1 zoom ratio, this rifle scope by Leupold offers images that are perfectly clear along the entire magnification range. The fast-focus eyepiece of this Leupold riflescope offers an excellent eyebox, large field of view and immediate diopter adjustment. Generation 2 argon and krypton waterproofing treatment allows the Leupold VX6 2-12x42mm FireDot Rifle Scope to resist the effects of thermal shock and water damage more efficiently than nitrogen, which was the previous standard. Leupold has built the VX-6 using the Xtended Twilight Lens System and DiamondCoat 2 scratch resistant lens coatings for improved light transmission and hardy durability. 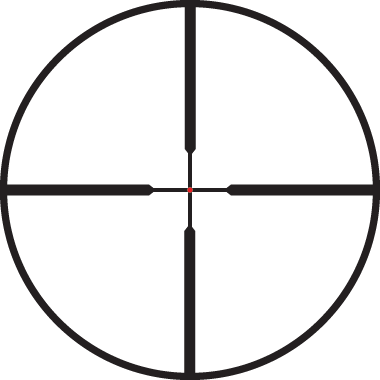 When you factor in the VX-6 rifle scope's edge-blackened, lead free lenses, this rifle scope gives your visuals superb clarity and almost no glare. These scopes in the Leupold VX6 series utilize the revolutionary FireDot illuminated reticle system, which uses 12 variable brightness settings and is equipped with auto-activating motion sensor technology that turns on illumination the moment it senses movement. For an accurate, illuminated reticle rifle scope that can make the difference on your next hunt, choose the Leupold VX-VI 2-12x Illuminated Xtended Twilight Scope.